Women in science remain largely invisible in our media and in the imaginations of Indian people. Since January 2016, we – Nandita Jayaraj and Aashima Dogra, have been ‘labhopping’ across the country to meet with India’s women scientists. As science journalists passionate about feminism, we toured these labs, big and small, across the country to engage with the women who work there. We asked them not just about their research, but also about their personal journeys and how their gender has affected scientific lives. Gender ratio in India’s top 6 universities (according to the latest Times Higher Ed Rankings) as compared to that of the world’s top 6. Our goal has always been to find the roots of the wide gender gap in Indian academia – only about 12 percent of India’s researchers are women. We have interviewed over 100 women scientists in India and continue to publish reports based on these experiences every week since we launched our website www.thelifeofscience.com in February 2016. Along the way, we encountered lots of inspiring stories of women breaking stereotypes. Many of these were under a subtext of disturbing realities that need to be addressed urgently. Our reports have been widely read, syndicated and acclaimed; we won Laadli Media Award for Gender Sensitivity last year. Now the time has come to look back and then go forward. We are going to write two books based on our journey. One is for a general audience and the other another for children. Both books have found great publishers. We need to spend at least 12 months on research, writing and collaborating with an artist to create these books. For this, we need your contributions. Aspiring to be an accessible popular science book rooted in oral history and journalistic investigations, the book is a travelogue through India. 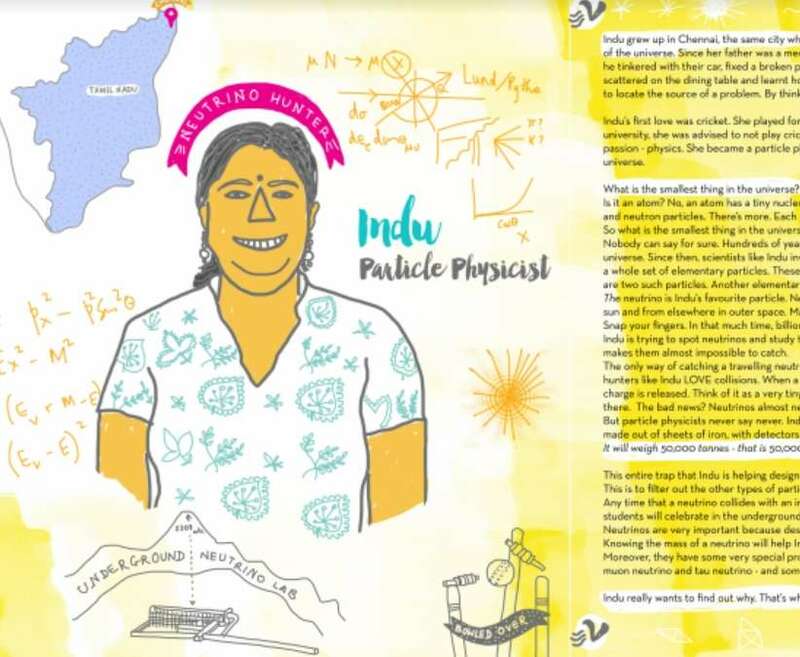 Conversations that took place while touring labs big and small, spread across the country – from Aligarh to Aluva, from Bhopal to Bhubaneswar, from Ajmer to Kalimpong, and many more – will rearticulate science and also gender in India today. By bringing forth the science carried out by the role models we interviewed, the authors hope to inspire the next generation of girls. Much has been said about ‘Women in Science’ in recent years, but no work exists that is specific to Indian science or feminism apart from research studies and anthologies by sociologists and the scientists themselves (which we will be reviewing). We propose a book for Indian readers that will be accessible, exciting and open their eyes to the prospects of Indian science – a space that is slowly, but surely, on its way to becoming more gender equal. This is an anthology for children introducing them to 30 contemporary women scientists working in India today. It comes to life with peppy illustrations by artist extraordinaire Ria Rajan, who we have worked with extensively at Brainwave magazine – a science magazine for kids. This book rests on the vision that by 2020 the average young person in India can name not 1 but many many more Indian women scientists when asked: do you know any scientists. With this one, we are putting down the seeds for new role models – a true stereotype breaker. Sample illustration (by Ria Rajan) accepted by Puffin Books.